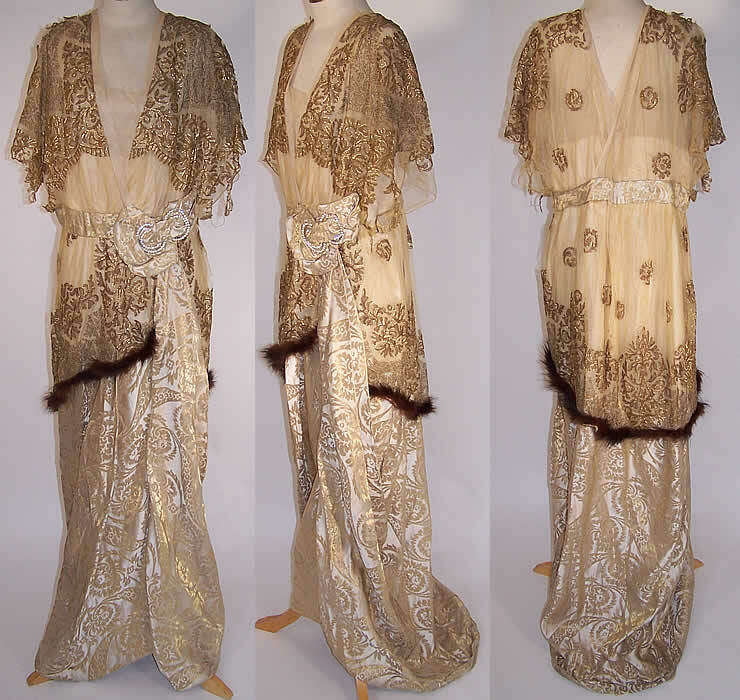 This Edwardian Titanic era gold lace silk lamé brocade mink evening gown dress dates from 1912. 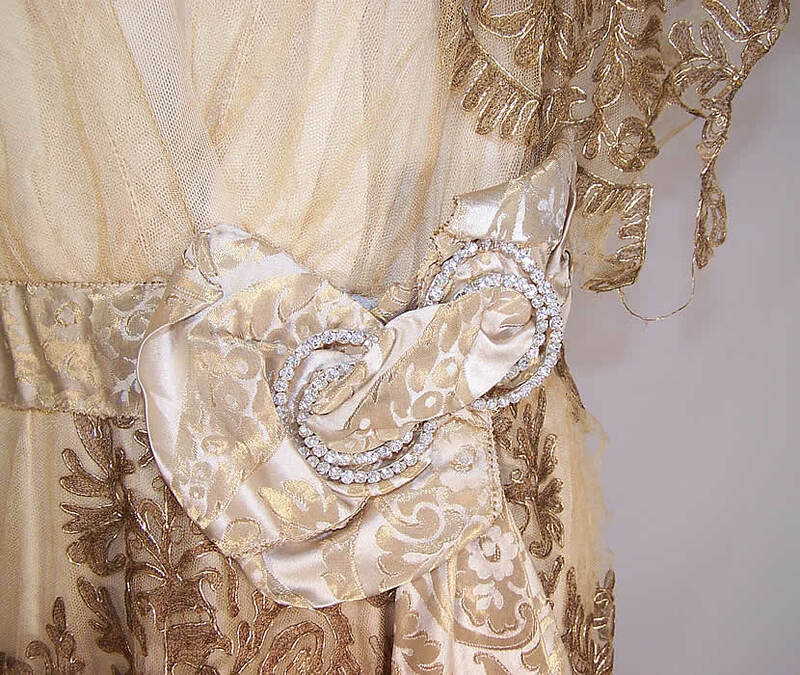 It is made of a gold and cream color silk lamé brocade fabric skirt, with a sheer off white net and gold metallic embroidered lace overlay done in a rococo scrolling floral pattern design. 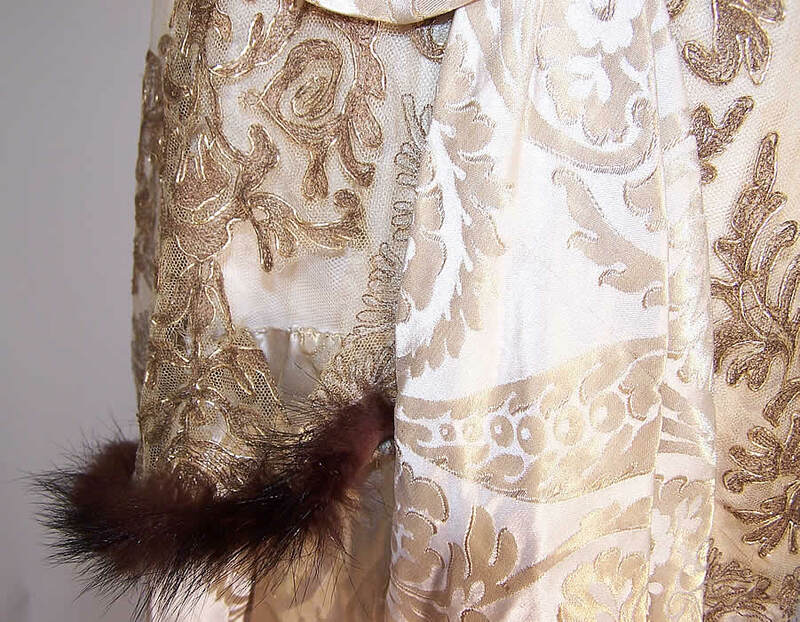 There is mink fur trim edging and a large rhinestone buckle trim accent at the waist. This opulent elegant evening gown dress is floor length, with V necklines, layered short sleeves, belted waistband, peplum skirt over dress and fitted hobble skirt, with front drape, weighted hemline and slight back train. It is fully lined in silk, with hook & eye closures down the back. The gown was custom made, measures 58 inches long in the front, 64 inches long in the back, with a 30 inch waist and 34 inch bust. It is in as-is fair condition and could use some restoration. There are a few breaks, frays in the net along the shoulders, sleeve bottoms and the side skirt (see close-ups). The inside white silk chiffon lining is frayed, splitting. 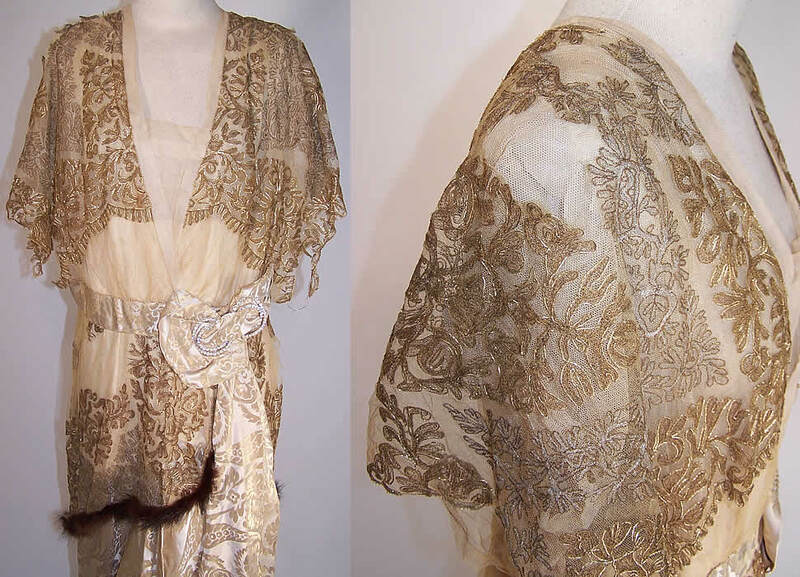 This is truly a rare and wonderful piece of wearable Titanic textile art!